2) Press the valet button/switch three times. Important: Some systems may use a combination push button LED switch. In these systems the push button and the dash mounted LED are one and the same. 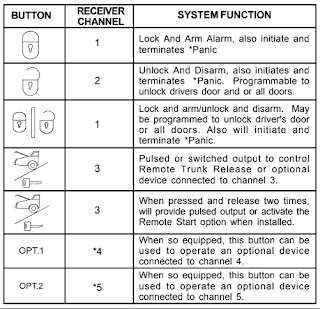 3) The dash mounted LED will flash once, and the siren will chirp once, indicating that the system is ready to accept programming of channel #1 which is arm/lock, disarm/unlock/unlock 2, and panic functions. 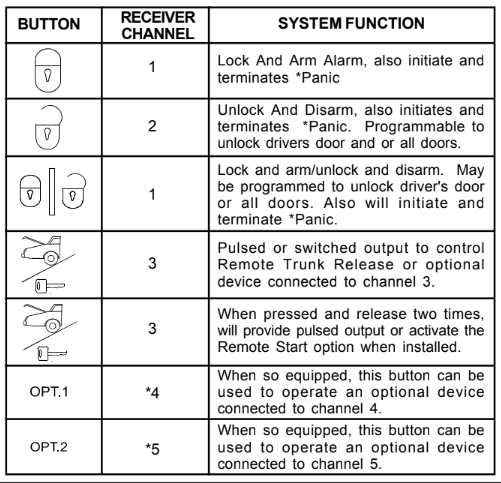 Important: If your transmitter button has the Lock/Unlock icon on one button, press and release the valet push button switch 2 times then move on to step #8. 5) Press the valet button/switch once to advance to channel 2. 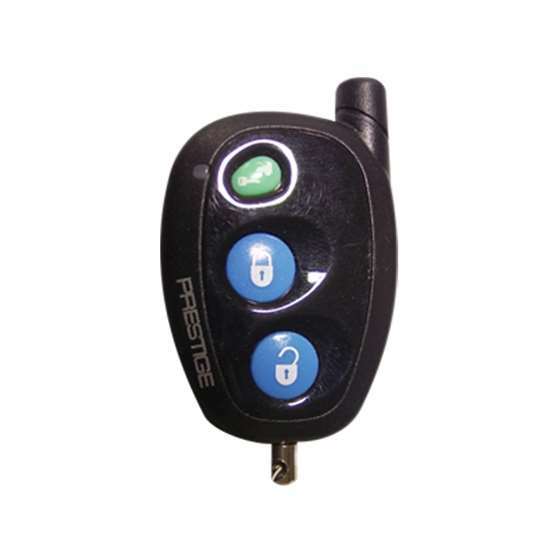 The siren will chirp twice and the dash mounted LED will Flash 2 times, indicating that the unit is ready to accept programming for channel # 2 which is only used for separate lock and unlock button transmitters, and is the disarm/unlock/unlock 2 and panic. 7) Press the valet push button switch one time to advance to channel 3. The siren will chirp 3 times and the dash mounted LED will Flash 3 times, indicating that the unit is ready to accept programming for channel # 3 which is the trunk release/alternate output channel of the system. Important: Channels 6 and 7 can be used as a separate output to control a function other than driver priority. Simply programming any unused remote button other than the unlock button will allow complete independent control of these outputs.